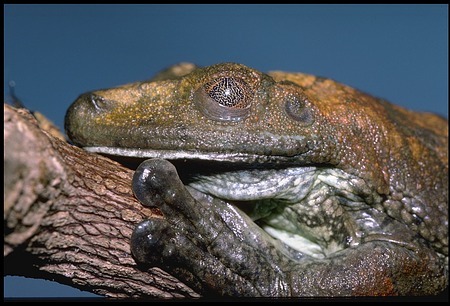 Rusty tree frog, Panama, STRI, by Carl C. Hansen, 1987. Smithsonian Institution Archives, Acc. 11-009, Smithsonian Photographic Services, Image no. 89-14715.